We are fast approaching the Thanksgiving Holidays, which is a time to focus on family and hopefully the Lord Jesus Christ. It is a time to reflect on our many blessings and thank the Lord for His goodness. I have searched the Bible to find a verse on thanksgiving. I wanted this verse to contain something new to be thankful for. 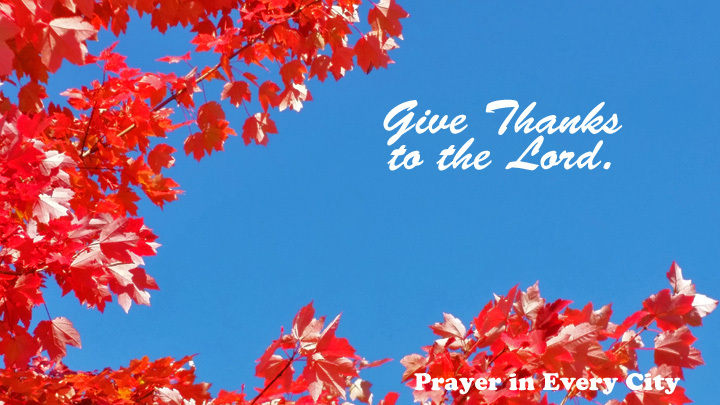 When I pray to the Lord and thank Him, I usually am thankful for my family, friends, provision and health, but I had to ask myself if I was thankful for what Paul was thankful for. When I read Paul’s prayers in the New Testament, I am challenged to pray selfless prayers. In Romans 1:8-9 Paul is thankful for the church and their faith. He also prays continuously for them. I hope you will try to memorize this verse this week. As you memorize it, thank of the many things you are thankful. If you have not thanked the Lord for your church, then try to broaden the focus of your prayer life this coming year.